Vicki Laveau-Harvie was born in Canada, but lived for many years in France before settling in Australia. She has three passports and treasures the unique perspective this quirk of fate affords her. In France, she worked as a translator and a business editor, despite being a specialist in 18th century French literature. In Sydney, she lectured in French Studies at Macquarie University. After retiring, she taught ethics in a primary school. Vicki Laveau-Harvie is passionate about writing, education and communication. 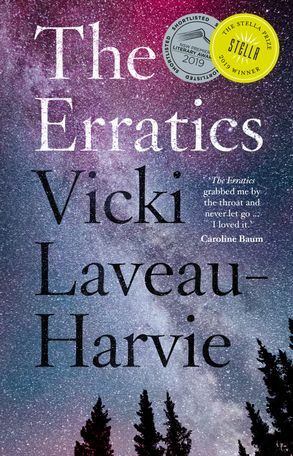 Her memoir, The Erratics, won the 2018 Finch Memoir Prize and was longlisted for the Stella Prize. She has won prizes for short fiction and poetry.